Feel free to post any questions you may have in this discussion, either before you purchase or during construction. Or, post pictures of your finished large tool post turret. 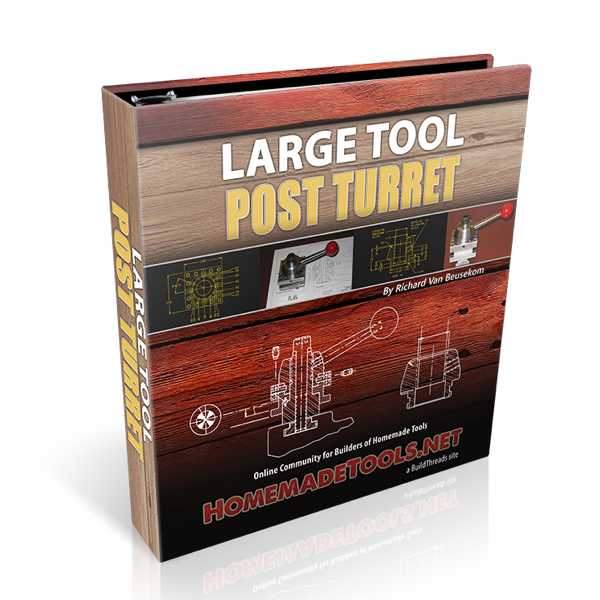 I designed this 2-1/2" 4 Tool Square Tool Post Turret to overcome some of the short comings of the standard four way tool posts that sometimes come as standard issue on new lathes. My design employs a 3 ball three ball locating system for "perfect tool location every time". It is well suited for building by the home hobby machinist and it is possible to be built using only a lathe equipped with a milling attachment and many have been built that way. If you have milling equipment it is even easier to build. The finished product is "SOLID AS A ROCK" and a joy to use on the lathe. 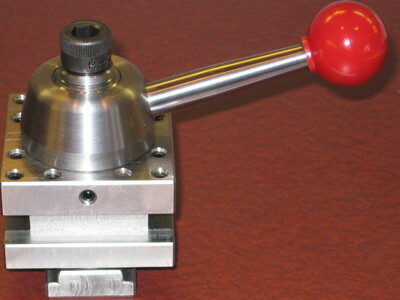 This design works well on lathes with a swing of 9" and up and will positively index in 30 degree increments. There is an option in the plan to allow indexing in 15 degree increments also.